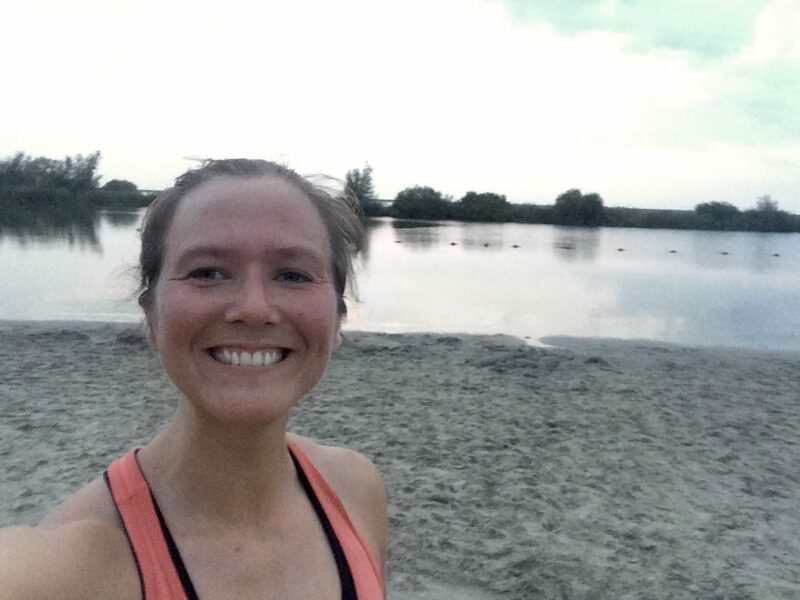 I took the girls to the beach for our ‘fittuin’ class and we did this workout that I also did with Mijndomein colleagues last year. Last year it took me 15 min 43 seconds. Today I took 14 min 13 seconds. Last year we did it next to the beach, so the run was a bit easier, but I also measured it out last year to be exactly 400 meters. Today we did it on the beach, but I didn’t measure the run and I think it was a little bit shorter than 400m. So, can’t really say if I improved or not as the conditions were not the same. Definitely felt easy though. Although burpees in the sand are not fun!! Hell! I went to Lowlands this weekend, so didn’t sleep much and did a loooad of walking around, dancing, drinking some beers.. so I wan’t at my fittest. Been having a cough for days now as well.. I was a little bit wary of going to the gym, but thought it would be good for me. Until I saw this on the board. This for sure was the most dreadful workout during the Open. Absolutely horrible! I took 29 min and 28 seconds when I did it during the Open in March. Before I started I was certain I wouldn’t match that time as I felt so tired from the weekend, but when I started the thrusters felt so much easier than before. In March I did the thrusters in sets of 3 and now I did them 5 to 4, and they felt easy. So that went much better. Everything went quite ok and I was on pace to match my previous time or even go under it until about the 7th round. And then… then I kind of just gave up. I just couldn’t breathe, move, coordinate myself. I kept failing my double unders and started resting extremely long between sets. I actually felt like crying in my 9th round and just wanted to stop. I did finish, but my time was 36:36. So, more than 7 minutes slower than in March. What a horrible feeling. But in the end.. still glad that I went and that I finished it. But, wow, that was a struggle! I don’t think I ever gotten over 50.000 steps before. So yay me! I didn’t check my previous max before, which was a shame, cause I should have gone a little bit heavier. My previous max was 8 deadlifts at 80kg. So definitely should have tried 82 or 85 for 7. Felt good though. Did some handstand practice afterwards and had a couple of times were I really got into the sticky point. Working up to a strict ring muscle up.. we did a lot of exercises that I’ve done before.. false grip hang, false grip pull up, dips, holds, etc. Can really tell all my practice on the rings has given me a very good base in ring work. In the end we got to try our first muscle up. I’ve never actually properly tried a string ring muscle up before. I’m not there yet.. but I got pretty close! Yme only had to help me a tiny little bit to be able to finish it! The only annoying thing is that being ‘so close’ can still take ages before getting to ‘got it!’. Still fun to get to do it like this though. I really liked just being able to spend time on it as a skill. After this we did a short workout. Scaled the muscle ups to assisted muscle ups with feet on the floor. Double unders went great. Finished in 6 min 32 sec. 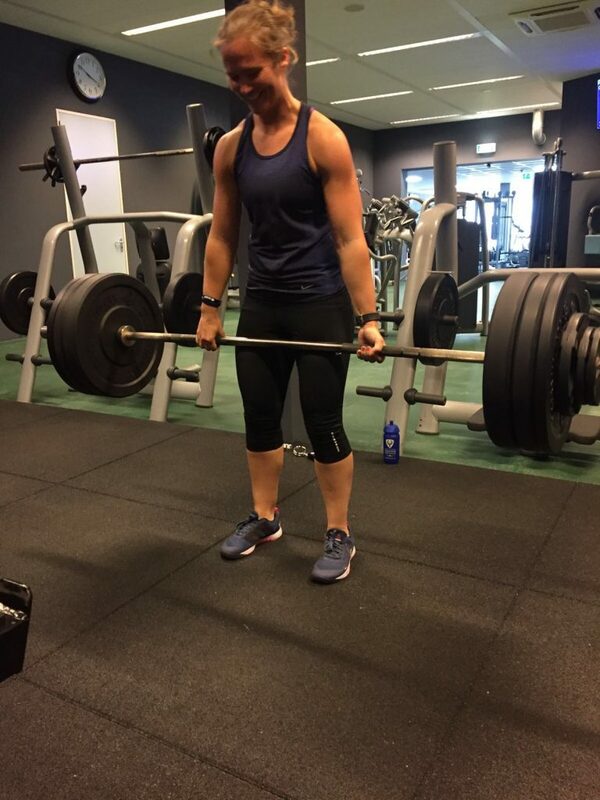 I use this blog a lot to make up workouts for my friends nowadays and enjoy reading back about my earlier workouts so much that I want to try to start writing out my workouts here again. I’ve still been keeping track of my workouts, but I use the website www.beyondthewhiteboard.com now. 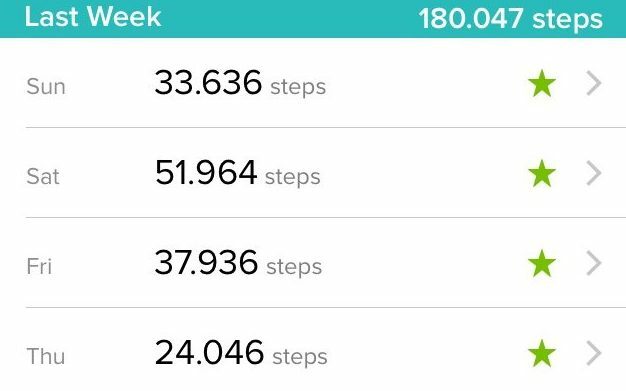 It’s a handy tool to keep track of your benchmarks and fitness level, but it’s more fore statistics and not so much to read back. In the practice round I used 2x 15kg dumbbelss, but that was too heavy. So in the workout I used 12,5kg. That was still very heavy!! I had to put them down multiple times during the farmers walk. The push ups were ok. The shoulder to overhead hard but ok as well. But that farmers walk… prrrfffff. My grip and forearms!! So.. even though I’ve been doing and feeling great training-wise. I have been absolutely rubbish at everything else. Sleep.. food.. organisation..
My house is a huge mess all the time.. I don’t even remember when I cooked a meal for the last time.. and I rarely get my 8 hours of sleep at night. It’s been like this for a long time now and I’ve tried to fix it a couple of times already, but somehow I’m struggling. I seem to not be able to get the focus or drive to really go for it. I feel sluggish all the time, which makes complete sense, because I’m eating absolutely ridiculously. Most days I survive on crisps and chocolate and I’m not even joking.. It’s horrific. It’s a miracle that my training has been going well despite all of that.. but obviously I could do much better. Health-wise especially. So.. it’s time to try again! I took the day off today to kick-start all my good intentions. There’s plenty of things to improve and I don’t think I’ll manage them all at once, but here’s a list of improvements I think I really need to make to get a bit healthy again. Eat normally. Not even talking about perfectly healthy.. but have at least 3 normal meals a day and stop with all the chocolate. Take more showers. This sounds a bit stupid, because it’s not like I don’t shower every day.. but I tend to not shower immediately after working out.. and my skin has been giving me a lot of problems lately. Which I think is because of a combination of bad food (obv.) and bad skin care. The skin care comes mostly from keeping sweaty clothes on for too long. Which resulted in acne on my back. That needs to go!! Less driving, more walking/bicycling. I have legs – should use them! Romwod every morning. I started this a couple of weeks ago and really love to start my day like that. But, like everything, I slowly stopped doing them again.. Time to get back into it! At least 2 runs a week. They can be short, but since I have the triatlon in september I need to work on my running again. 1 swim a week. Same.. for the triatlon. I’m going to swim every Friday for the next couple of weeks. So.. I think that’s it pretty much in order of priorities as well. Runs and swims would be nice, but they’re not a necessity for good health. I mean.. I still do CrossFit pretty much every day..
I’m going to start keeping a journal again as well (not here) to keep track of things. I’ll probably won’t keep up, but for me it’s a little tool that helps with motivation. On another note.. training has been awesome. I’m really enjoying CrossFit at Bear Up. And I also love all the training sessions in my garden with friends. It’s really cool :-). I do feel that I try to do too much at once.. which leaves me with not enough time to relax. Resulting in me having no energy when I’m home alone and not cleaning, cooking, etc. Which is a problem… but.. I don’t know.. I guess it should also go on my list: do less. But, it’s all just so much fun! I give training now on Wednesday evening and Friday morning. They want me to add Monday evening as well, but I’ve been strong and said no. This morning I asked Yme if I can do an internship at the CrossFit if I would start a course and he said I’d be very welcome, so that’s cool! I’ll probably start observing his fundamentals classes anyway… Just to learn from his coaching. Will be fun! And maybe it wil result in me being able to do some classes for them whenever they both can’t. Zoe is pregnant with their 3rd kid, so she’s going to need some time off at some point.. Anyway.. I would be very happy to get some experience / learning opportunity and would love to help out coaching if that opportunity comes along. And I managed to complete both :). Toes to bar are still a struggle, but I finally manage to get the proper kip.. I will need to keep on practising though to make sure I can properly do them in workouts as well. As now they still take so much effort. The 100kg deadlift I got when training at RAF sport with my friend John. Wasn’t really planning on trying it yet, but it felt good so I thought ‘why not’. And was able to get it! So cool!! Not a greatly timed picture, but I did stand it up completely. My next goal is a 10 sec freestanding handstand hold. Have been practicing for the last couple of days and already went to sometimes being able to hold it for about 2 seconds.. (I started with not begin able to kick up far enough). Am really enjoying the practice and hope to get this goal within a month! Also.. a couple of weeks ago I finally (after years lol) got my first strict handstand pushup from the floor. I’ve been able to do it with one abmat for forever, but never managed from the floor. Until now :D.